The Workroom is teaming up with the Career Center to celebrate National Student Employment Week! 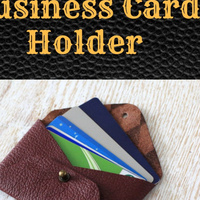 Prepare for the 2019 Career Fair by making a no-sew leather business card holder. There will also be a small selection of vinyl if leather's not your thing.